If you are planning to enjoy some time with the pandas and want to work for the animal who is endangered because of our activities, you can become a part of the giant panda volunteer program. It is a special program in which you will get a chance to spend some quality time with the pandas as well as take care of them in the best possible way. However, before you can volunteer for the program it is important for you to understand that how you have to manage everything and the tasks you will have to complete when you are a part of the giant panda volunteer program. Here we have a complete guideline that will help you understand who the program works. The giant panda volunteer program location. The giant panda volunteer program is currently available in the Wolong and Dujiangyan base where you can join and help the animals. It was the base that was established in 2014. There are 20 pandas living at the base. The main focus of the base is to train the pandas for wilderness, breed them and release them into the wild once they are prepared. By car, it will take 1.5 hours from Chengdu. It is famous as the real hometown of panda. 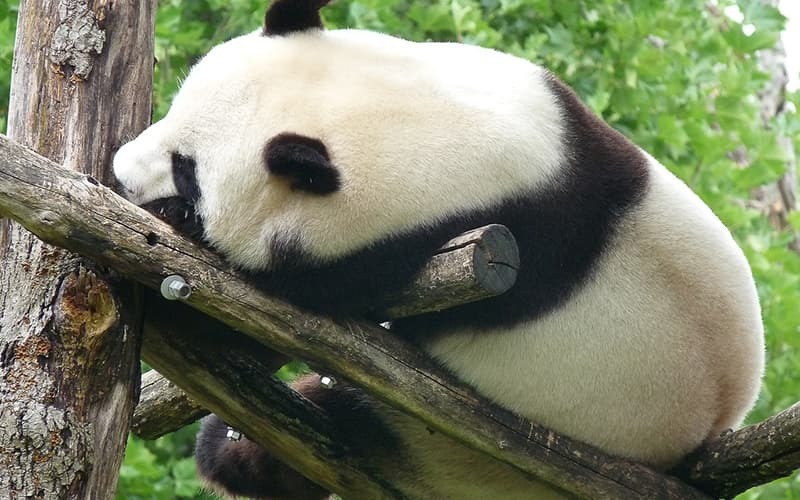 If you want to experience the true lifestyle of panda assure that you join the giant panda volunteer program in the Wolong. Unfortunately, the base was destroyed in 2008 because of an earthquake. However, it has been reopened recently and there are 30 giant pandas living in the area. You will surely enjoy the time you will spend here. For 30 years the experts have been working on the pandas. They are trying to understand the unique nature of the animals because that is the only way they can assure to give it a better and protected lifestyle. Over the past few years, there have been many changes made in the panda base to assure that quality of life of this animal can be improved so that chances of its survival will be increased. If you are planning to become a part of the giant panda volunteer program, the most important thing you have to consider is the age limit. You should know that people of the age of 16 to 26 years are allowed to participate in the program. It is an amazing learning opportunity that you will not get anywhere else. The biggest attraction is that you will get a chance to associate with the animal at your own terms. However, at the same time, you should respect the solitude of the animals. If it does not like your presence, it is better that you stay away. Do not forget to check whether the program is available or not. There are two conditions in which you will not be able to participate. One when all the seats are booked and you are late and other when there are Chinese new year holidays. There are different types of tasks that you will have to complete while you are the participant of the giant panda volunteer program. You have to assure that you pay special attention to the pandas and assure that their all requirements are properly met. It is your duty to assure that nothing will happen to the poor animals and he/she will spend a quality time when you are taking care of it. Some of the important tasks that you will have to complete while you are a volunteer are. Prepare the food for pandas like panda bread, apples, carrots and panda cake. Partake in the observation and research activities if you have a veterinary background. If you are interesting in such a panda volunteer program, feel free to contact our travel consultants. We will arrange all things for you. You can also make a customized tour to Beijing, Xi'an, Guilin and Shanghai etc. Come and make your China tour unique! See the following reccommended tour. If you are planning to become a successful volunteer there are many things you have to consider. Remember that your safety is in your own hands. It is better that you stay away from the animals until you are properly trained and panda can trust you. Make sure that you do not startle the pandas by making any sudden noises. You have to assure that you do not throw food or approach the pandas unless the expert will allow you to. If you will disturb the eating routine of the panda it will make them sick. Pay attention to the instructions given by the panda keeper. It is better for you to own safety that you do not enter the cage or try to touch the giant panda or go near them. You are only allowed to do so when your panda keeper will allow you. You cannot take photos or videos without permission. One of the most important things that you have to consider is the dress code of the volunteer program. You have to avoid wearing any kind of short pants or slippery shoes when you are carrying bamboo. Avoid wearing perfume or nail polish during the tour because the panda has a very keen sense of smell that could irritate the animal. Show extra care and respect towards the animals if you truly want to enjoy your time. Join in Panda Tour with UME Travel! Are you keen to explore the beauty of wildlife and vibrant culture? UME Travel private panda tour offer you a unforgettable wildlife experience. Our tour also includes visits to Beijing, Xi'an, Chengdu, Guilin if you wish. All-inclusive and save your time. Belows are our most popular China tours. Have a look and tell our travel consultants what's your need. All itneraries can be revised on your requirements!